I'm going to start this post with a sentence you'll have seen a lot. This got me thinking, is this cause, or effect? Illness, or merely symptom? See, work with me here. In my mind, too many missions isn't a cause for unhappiness but an effect of other factors. Missions are why we play the game, we should love them... but then it hit me, missions are like food. Give me a steady supply of duck in plum sauce, chicken jalfrezi or jambalaya and I'm happy, keep it coming (What? I'm built for comfort not speed...). On the other hand, by the second plate of sprouts or goat's cheese quiche and I'll be thinking "ok, too much, too much!". So, to complete the meandering food analogy, I think our problem lies not in the amount of courses we're being cooked, but the unpalatable nature of them. I used to work for the BBC, one of our studios shared their building with a Chinese Medicine Clinic. People SHARE work space. Recently one big problem for me has been single use buildings with long convoluted building procedures. We build them, and then they're never used again, specialised buildings with extremely minimal use. It's most frustrating when there's already similar buildings, the most obvious example being Mae. One storyline has so far accounted for four individual buildings, a Sheriff Office, a Jail, a Courthouse and a Sheriff Academy. OK, the Jail had it's own graphical interest as you build it up a piece at a time (like Lego) and see the Gratchets hanging out of it, but surely instead of the oversized Courthouse and Sheriff Academy we could have just used current buildings? Attach the courthouse to the Jail, attach the Academy to the Office, both would do the same job and not be out of place. We're now seeing buildings for almost EVERY mission, and too many of them have a lifespan totally at odds with how long it takes to build them and the space they take up (the recent Ferris Wheel being an obvious example). They take days, WEEKS sometimes to build, but the only reason to build them is because we have to build them... they serve no useful purpose. 1) We upgrade current buildings. OK, so instead of building the next to useless Sheriff Academy, why couldn't we just upgrade the Sheriff Office? We could still need all manner of building supplies etc, but no more space used up. 2) We build them off the homestead. The Ferris Wheel could have just gone next to the Country Fair, not using up room on our steads. We also need to think about REUSING buildings, or giving them good bonuses like the Clock Tower. Too many buildings right now feel like we're trudging along a marathon for absolutely no reward but a building that won't ever be used again. These days we're shopping deprived. Even as a man I love a bit of retail therapy, although for me it's gadgets and PS3 games instead of shoes or a handbag (well, not unless I have a "special" party to go to). Currently we're seriously bereft of shopportunities. I seem to spend as much time browsing my inventory in the hope I'll have some forges or lillies than I do planting items from the market. Again, we get it, Z need viral marketing, but there's a few things to think of here. For starters, any future players or anyone who takes more than a week to finish a mission thread is stuffed. Usually at LEAST every other mission has one of these dismal free gift crops that needs sending or requesting. Once that comes out, interest in the previous one dwindles. We're then trapped between the rock and hard place of either begging to be sent them or sending items to other people we KNOW won't want it in the hope they click to return them. It also renders almost the entire gifting page obsolete, the main reason I wanted to get to level 100 was to be able to send dinners to neighbours and help them in their game. That basic, useful way of being social and helping our neighbours, is now killed. It also makes a mockery of the constant popup we have in game for us to send things to neighbours, why would we EVER use that when we know we'll need mission items? (Not to mention the fact the things in those gifting popups are, without exception, awful things like breakfasts etc). Finally, things we should want to KEEP doing, fishing, Pigs, Sheep... game mechanics that we should want to do behind the scenes are ruined because we can't ask for American Moss, Corndogs or Lemon Mint because we're having to ask for new stuff. It takes features designed to be long term and replayable, and turns them into another short term feature, done to complete missions then never touched again. So, Frontierville, either stop it completely, or do what you did with the mixed tulips and after a fortnight or so make the items market items too, for COINS. Hoping to get one of 20 different things you've decided can only be free gifts (seriously, we're not going to buy them for HS, we're just not) is not fun, in fact it's extremely dull. Then, if you want to increase gifting? Take the Level 100 limit off being able to gift dinners and put them in the popup, I can say with almost full certainty gifting would rise. We need more clicks. Seriously, I used to think 50 was fine. It's not. 100 would be. Zynga, let me appeal to what you desire. You want networking, clicks, virals etc. Many, MANY people stop after 50, give us all 100 clicks and it will increase YOUR statistics and help everyone, as people will be more inclined to help, even if it's something they don't want. The whole thing, from start to finish is about fun. The missions should be the most fun we have, and right now they're not, in fact quite the opposite at times. Frontierville, dear Frontierville, I love you but you need to think what happens when a game stops being fun. I say this because I care, consider it an intervention. 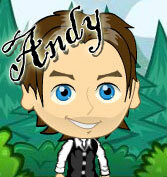 I agree with everything you say Andy, but I think the main gripe people have is with the repeatable missions. That's what my friends moan about most> it's fun doing things once but when you have to ask again and again for the same thing it gets boring and monotonous! I love this game but I've given up on the repeatables.. would be nice if we could just delete the missions we don't want to complete. Some of them aren't worth the rewards as they take sooo long to complete. Time they sorted things before they lose more players. I've had to get a whole new set of friends because so many have left the game altogether. I agree with gill and Andy, everything is just getting too much. If I don't buy horseshoes, I have to add 100 new friends every other day just to complete the missions. I love the game, but have bought my very last horseshoes last night! I agree totally...You said it all..Now we will back you in the intervention..lol Maybe if we all stop playing they will get the message. I have absolutely agree with this issue to many mission and to many things to created over and over. When building builds to many stages go through before get it done which stupid. I did Quit,, too much to do this summer. and being overwhelmed by all the missions :( i have no time for anymore.. this used to be a fun game. Well said Andy. This is exactly what I've been thinking for a long time. Make it fun again not just a drudge. Make the buildings multi use and gives us our homesteads back. Endure that ALL animals are storable when they are introduced and let us move those flaming trees if we can't have storage for them. :D here here ! well said !!! I do think it is, in part, the number of missions. I have friends that look at 7 pages of missions each day and wonder where to begin. Do you know how hard it is to get anyone to send stuff for missions that old. I hate the repeatable ones. I am working on the "Bess's Romance" (whatever) missions right now and if you repeat 7 or 8 , I forget which one, you will need 240 grilled chicken. If you can only get 4 to 5 a day it will take over a month to complete this. That is absurd, nothing should take over a month to complete and there have been quite a few that have taken that long. I also agree that 100 clicks would be nice but most don't even do the 50 they can, they just look for what they need and that is it. I think that we should be able to RECEIVE more than 4 or 5 from our posting requests. Why did they stick to 4 (5 if you are lucky). If you have a lot of friends and they want to click on your wall requests than they should be able to. I have had to go out and find new neighbors also. I sit with a pen and paper next to me and I never had to do that till a few months ago. It is frustrating and has ceased to be the fun it used to be. I guess I stick it out because I loved this game and am hoping to feel that again. Once again,Andy, your "essay' was exactly what so many of us are thinking!!!! I refuse to do any timed missions anymore and these repeatables are getting to be a drag! Hope that Zinga will read all of these and give us a break! I love this game ,but when it ceases to be fun...I'm gone!!!! Thanks Andy for saying what we all feel. We must remember that this is a "fun" game and to not take it too seriously! I know I've lost a lot of neighbors due to the difficulty of this game. I agree with all of it. I used to love this game but anymore I don't. I used to be able to keep up with the missions, now I'm sooo far behind I don't care if I get caught up.The constant issues has made so many players quit and I am about to do the same. Well said Andy. I've stopped playing the game because of all the missions. My screen would go blank and I would have to redo everything over again. I have way too many old missions to finish. I feel that I can't get ahead. I loved playing the game. Maybe they'll take some of the missions away. Yeah I agree with you Andy. I love the Animals they come up with and I think What genius person did this like billy the kid and the romance duck. they are great. I love them. I was able to keep my missions down to 3 or 4, Now I have a page and sometimes go to a second page. I hate that. I'm so busy trying to get the things I need for the last mission that I am now getting behind. I still need to finish the BBQ for the pioneer falls all I need is the stuff I have to beg for as gifts if I get them. I but it down at the bottom to my list to do now so I might at least stay up to date with the new ones. It seems like every time I comepletly finish on mission of the the missions I get a whole new set of missions. This makes me want to stop. The only reason I have not is because I have made it a personal goal to get to level 200 by this time next year. I should have no problem with this. My monthly goal is 5 levels a month I just got level 162 today. If things don't change by then I WILL STOP PLAYING. I am with you Andy. The repeating missions and the glitchs are what drive me nuts. The last 2 days my game loads and then freezes up.Even Im at level 192 and having issues keeping up with the mission and requests especially for the sheep. We need far too many to mature them. I also agree with the non useful bldgs and the pop gifting page. The only time I use it to gift friends is when the give us food other than breakfast and mind you I have over 900 friends that play the game! And the limit of 50 for the feed should be at least 100 for the amount of items we need to collect and gift our friend. AND ALWAYS REMEMBER PLAYERS THAT YOU CAN STILL GIFT EVEN IF YOU ARE NOT COLLECTING OFF THE FEED! All the above observations are on the mark, but, what I really have a gripe about is the fact that we build buildings to store buildings and then they give us more buildings. We never end up with that valuable "space" and can not truly set our frontiers up in an appealing setting. Please give missions that are doable without buildings. I agree with every thing you said. I am soooo far behind I will never catch up, never mind taking JUST a week to complete a mission; I wish. I also wish we could do more things on our own without having to beg all the time. You couldnt have said it better! Especially with getting more clicks...more clicks would allow us to catch up on parts we are behind on and to actually do some of the older things that we cant because we are out of clicks. They have put in lots of fun things in the game but like you said, once we are out of clicks, we quit playing until the next reset. When they take the fun out of the game, it's time to quit. Well spoken from everyone.I think our clicks should be unlimited it's our time if we choose to sit and click whats wrong with that?maybe we could get missions done with less stress.I have enough of that in real life.I also think the last two land expansions should be done with a mission or bought with Frontierville coins not HS. Very well said yet again.....and giving us 'sheep' which are essentially the pigs in sheep's clothing (sorry, but it's true) after a lot of us almost hung ourselves after them was mean.....Zynga also needs to do more of 'the math' before they launch anything, to require over 300 of anything is just not fun, as you said, we end up begging for days, weeks, for the same stuff, over and over (sheep soap, hog chow) and it leaves us no opportunities to ask for things we REALLY need or we stop and they just sit there unfinished (with NO PLACE to store them!) and as you also said, if you fall behind or decide to start something later, you are screwed, everyone else has moved on, you'll never get your stuff.....I do personally go over my 50 clicks. About 1/2 an hour before my 'reset' I go through my FV 'list' that I have set up and click on everything. I feel badly that I may be clicking on something that someone else may REALLY need (and I assume that everyone's reset time is the same as mine) but I also know what it's like to wait for weeks for someone to NOT click and you need just that one more, especially since I know it's an older mission. If there also was a way to 'clean' up missions we aren't going to finish or are done and continually show up, I don't know about anyone else, but I'm sick of getting 'yer letter' everyday from Bess when I finished that nonsense weeks ago. I've very grateful for the many core group of players that I'm friends with that keep me afloat, I almost quit because it was becoming more of a 'job' than a game, but this relatively new bunch works well together and we keep each other sane. WOW!!!! You hit every single nail right on the head. Can you please go take over the reins (pun intended) at Frontierville LOL!!!! I also agree with what you said, however, my complaint is that you only get 50 wall clicks a day. I see friends who are behind and I hesitate to help as I need to finish my own missions first. I do go back if I have time and help but mainly after I have used all 50 clicks. If they would eliminate this limit it would definitely help everyone catch up. I have a few friends that have 'old to me' missions which are new to them as they only started playing the game a few months ago. I think if I started as a new player now I would quit almost immediately. Well said Andy, I couldn't have said it better myself, 100 clicks would be better, and so would the gift envelope with it being caped at 50 we also lose a lot of progress there since so many requested items and gifts over 50 get lost in cyber space. I have played for a little over a year and have maxed out at Level 200, which is something else they need to change raise the Level cap for everyone not just for whoever buys the VIP package, I have sent suggestions about these things to Zynga via the suggestion link (round file), hoping they would consider making some changes. Lets hope your post gets some attention. You nailed it Andy! Now if only Zynga would listen. I haven't even begun alot of the useless mission and they can sit there forever as far as I'm concerned. I'm about ready to give up this game as well. They lost me on Cafe World and Farmville a long time ago, it's looking like Frontierville will be next. I agree 100%! thnz you ! Spot on Andy. If only Zynga would take some of your advice the game would be much better off. Especially the building and crop parts. So well put. I called it quit a year ago. I couldn't keep up and I too bought horseshoes but the ante just kept getting higher and higher so I stopped all Farmville and Frontierville completely and never looked back. It was a lot to walk away from but I was tired of being played. I want someplace to spend 47,000,000 million in coins and to be able to empty out ANY item I want from the storage(not the shed storage we do contol)When I go through to find an unwither boost for example, I have to navigate 30 clicks of pages of useless junk. The search method at the bottom is pretty worthless. What I'd really like is to be able to use the more than 400,000 regular wood that keeps dropping when we chop trees but gets used only 5 or so at a time when we "whack" a new building. I have all this regular wood collecting, and yet I have to beg for "overpriced lumber", for "big oak stick", for "pine board", for "sanded lumber", etc., etc., etc. Why not just require a certain amount of regular wood like our very first buildings did? I just hate seeing it sit there adding up and there be no use for it while I'm begging and begging for all these specialty items!! So many good points here. It would be nice to think there is a developer assigned to read this and pick up some pointers for improvement. I have one issue that I didn't see mentioned here, or I scanned past it. 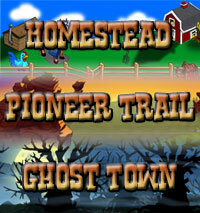 When Frontierville started I was big into Farmville. The biggest change I noticed in the two was that Farmville was all about getting more of everything. Frontierville was about surviving and helping your new neighbors survive. One feature that was removed that really disappointed me was the ability to gift items to 'newbies'. I could send extra paint or nails to my neighbors so they could finish their shed or coop. That was exactly the pioneer spirit that made me love this game. Then they took that away and it became more self-centered. Sure wish that feature could come back. I agree -- I (and all of you, too, I'm sure!) have an inventory chock full of leftover mission items and building parts that just sit there -- can't gift them and can't sell them. There have been times when I've seen neighbors asking for certain parts that I have a ton of in my inventory but can't give them -- 100+ of some of those drop items! I've complained to Zynga several times about this back when the Trading Post was so shoddy -- the result of mine and others' complaints was for Zynga to create the "search" feature so we don't have to clunk around all the dud items in our inventory. That helps, yes, but I'd rather be able to give them to someone else who needs them instead of just avoiding them. Hi everyone :). Yes, I totally agree with all the comments, spot on, 5 pages of missions and counting and not even started on the Bess romance one as I've still got the cowgirl and the baby names to finish. I'm also now sitting here with a pen and paper to note what I need to ask/beg for. I'm lucky to have a good core group of friends, but its a struggle. I with they would return to the days of simpler missions that didn't turn into an epic quest to actually complete something. i agree with a lot of these people i have like 5 and a half pages of goals to do and keep getting more. Andy, the thing that totally gets my "goat" are the sheep and pigs. My homestead is littered with forgotten porcine packages and nowhere to put them and you can't sell them. I had decided not to do th sheep an then they snuck them into a mission! Otherwise, spot on, as usual. I truly hope you send this to them, Andy. They need to see more than 100 comments from people in the forums. They are slowly but surely killing my desire to log into the game. I already stopped purchasing horseshoes. I dont see the point in buying them, when I dont have the time, or the energy to purchase and decorate or ENJOY my homestead as I would like to. Turning it into a "pay for the rest of your life" game didnt help either. The buildings have got to stop. Weve tried so many times to tell them in the forums....17 buildings later, since the last storage . Too much, please send this to them. I completely agree! You said so many things I've been thinking and took the words right out of my mouth. I think if Zynga would shelf some of their ideas for awhile, and release one new feature a week (at most!) we would all have time to catch up on old missions etc, because we can now hopefully get the items we need. I have not played all week because I saw there were 2 new things coming out. Enough already!! It's just so frustrating, to add new friends, but still have only 10 or 15 that send things on the private gifting, and only about 5 friends who click the wall feeds. People just do NOT click those feeds for me. Unless they're seeing it as it happens and happen to need that particular item. 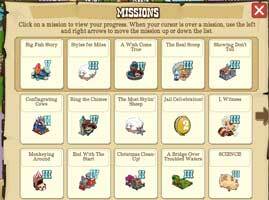 Which is not fair to us that have 5 pages of missions and 20 buildings still not complete. I think the game would be better served by upgrading buildings (I can't believe they didn't think of that - if they're happy enough to please us with storage buildings, then somewhere, someone understands we have too many buildings, but then why o WHY build more?! doesn't add up...). And maybe they could spend their time on older things to let us return to those. For example, the ice shed. What the heck was the point of building that thing, just to get critter milk, for animals that no longer exist. But, they've come up with new animals to care for, that are 10x harder to do so, so it's not enjoyable, I don't in fact have new animals, and I have over 100 critter milk doing nothing but taking up space. and for goodness' sake, what about updating the trading post? it's been almost a year since we were able to trade any of the new items out of our inventory. There are so many opportunities to upgrade and update old familiar items, and points of gameplay, that would help. But, there are too many level 200 people who spend spend spend and rush through the missions, that they sit bored with little to do. It's not fair to base the game on the top 2% and leave the rest of us to struggle. I have a couple high level friends, who post "please help, 4th upgrade" and I'm still on my first!!! But do they click to help me? Of course not! So yeah, I'm in total agreement. It seems to me someone at Zynga is a bit distracted and ADHD and they just keep coming up with new things that are incredibly annoying, instead of improving the things they already have. Thanks for this, I'm glad I wasn't the only one thinking these things!! I agree totally! It used to be fun,now I hardly get gifts from my higher neighbors because they have done the missions 8 times already, by the time I get to those missions,they are off on the MANY more missions to do 4 to 8 times again. and with all the trouble we had last month getting to the market, receiving gifts, or the game just not downloading,we have gotten behind :-( maybe don't put out a new Mission every week, but every other week. I have quick this game because I was getting deeper and deeper in a hole with no sight to be seen. There are way to many missions and way to difficult if your friends have given up and left you alone. I loved this game and played for 2 years but now I have left and won't come back. "U people" that you're talking to are players like you and just fans of the game. We do always suggest checking who you swear at beforehand. OH, do I AGREE with you, on everything. I feel so badly because I can't help the friends that are on missions that i did weeks ago. You can't even take a vacation because when I come back I am so far behind. They need to let up so I can just plant a few crops, harvest, maybe use double xp and move on. Already friends have lost interest in the sheep shearing deal. Then, unless we keep up with a brand new computer, with big and better video card, ram, etc. it becomes a loading issue with so much crammed on our homestead. Some of the repeatable missions I did not repeat them. After doing all the asking to get stuff last night for the latest mission, I think, why am I even spending time on this. I am hooked is the only reason!! but not horseshoes, will no buy them. I agree with you Andy on all of your points. I think as the need to increase neighbours rises with all the gifting requests so too should the click count rise. Also, with the missions, I'd prefer a lot more shorter and easier to complete ones than the long ones that are so convoluted with requesting this to make that to craft this to make that a million times each. The long ones are terrifically dull - I am thinking the bartering thingy here, and the stars for the cadet badges in particular. I much prefer the missions to be based on the things that I love about the game - growing crops, tending animals and harvesting trees for drops and visiting neighbours to see what you can get dropped over there as well. And also, like you, I couldn't wait to hit 100 so I could send dinners, but as soon as I did (it seemed) then lots of other things started needing to be gifted and there became no space to send an altruistic gift to my neighbours. Argh!! Couldn't agree more! More clicks would be a definite plus. I am not sure the people on the frontier depended on their neighbors as much as we HAVE to! Why couldn't care packages or fishing or wishing for parts give you some of what you NEED to finish old missions instead of lets say parts for the well...really? I would much rather have a needed bluebell plant than a crank for another well. Lets think about what works and what doesn't before bringing out more missions! Great article. Agree with what everyone is saying. Would also be useful if we could ask neighbours for more than 1 item per day. Thats my main gripe as friends keep leaving the game so I have less people to send to.